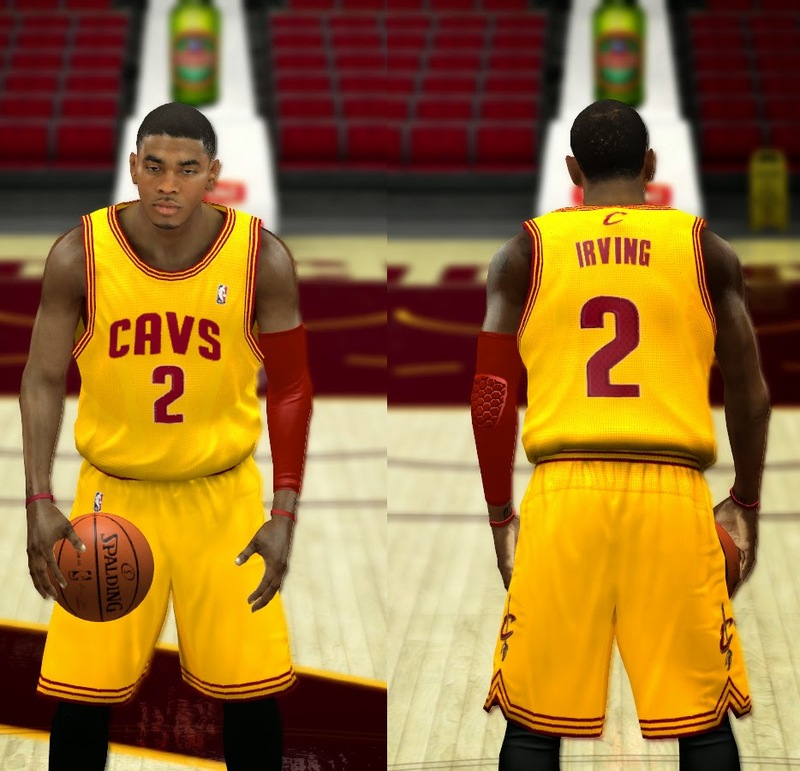 This is the final version of the tight jersey mod/patch for NBA 2K14 PC. Credits to maumau78. All glitches and bugs have been fixed in this release. Enjoy! 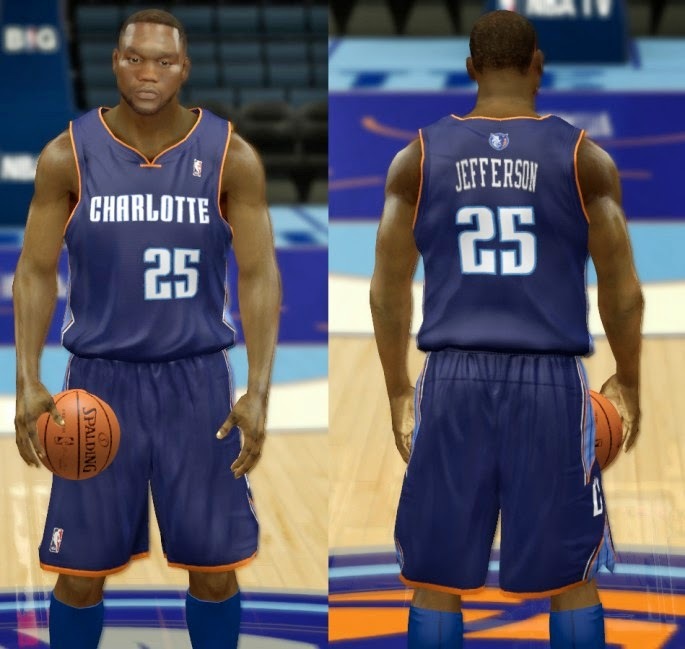 This NBA 2K14 mod replaces the classic uniforms of the Charlotte Bobcats with the official uniforms of the Charlotte Hornets for 2014-2015 season. The collar is a bit different, since there is no V-neck jerseys slot. 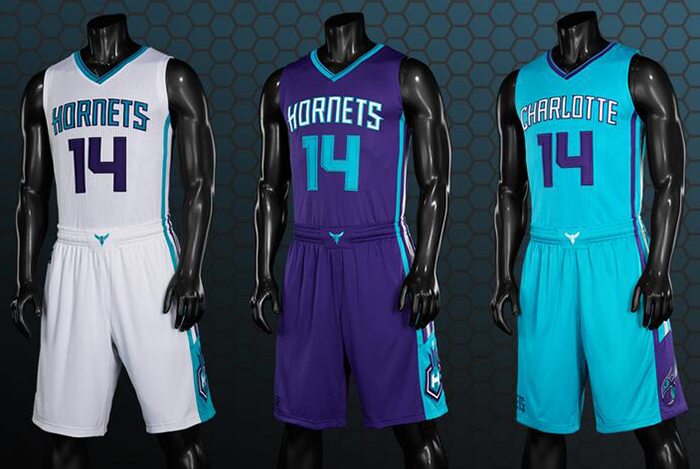 The patch includes the 3 new primary uniforms: home (white), away/road (purple), and alternate (teal) jerseys. Design based on recently unveiled photos. 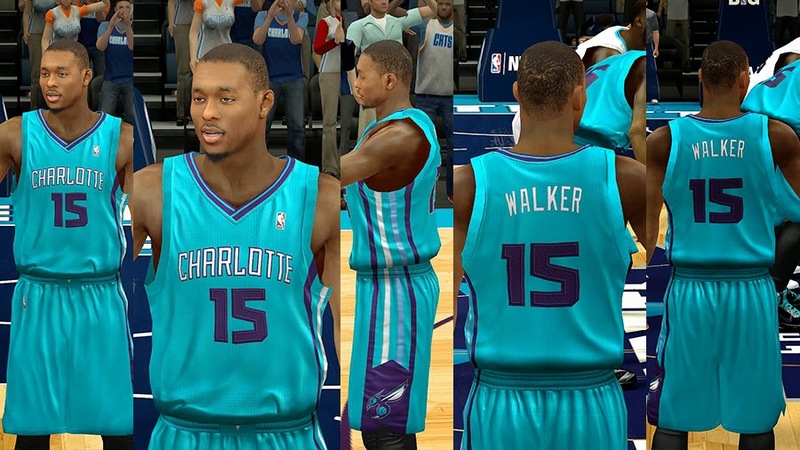 This NBA 2K14 patch replaces the old Charlotte Bobcats home and away uniforms with the new Charlotte Hornets jerseys that they will be using in this coming season (2014-15). 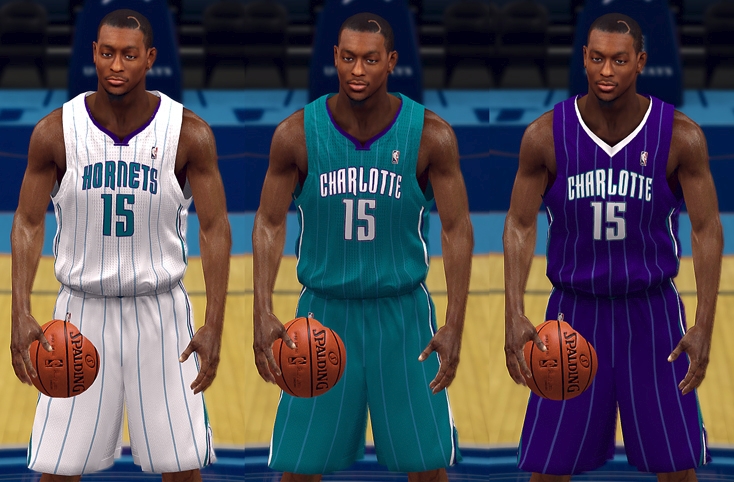 I'm still working on the teal alternate jersey. 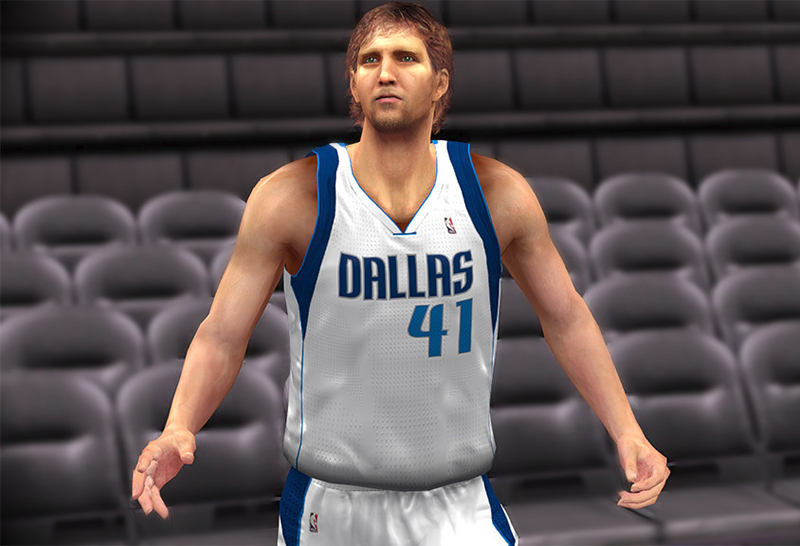 This NBA 2K14 mod pack contains more than 200 retro jerseys, with accurate team colors, much-better textures, and wide selection of best classic uniforms from each NBA franchise. 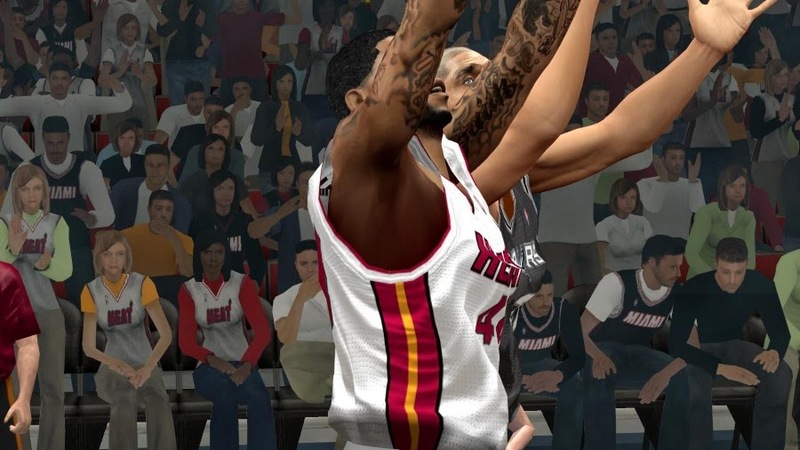 Special thanks to IamLillard and Generic for most of the jersey patches included in this pack. 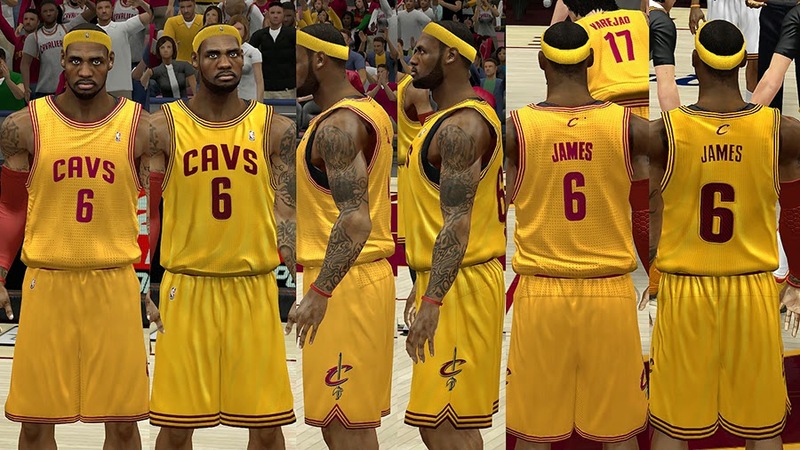 Updates and improves the textures of all the jerseys in NBA 2K14 PC. 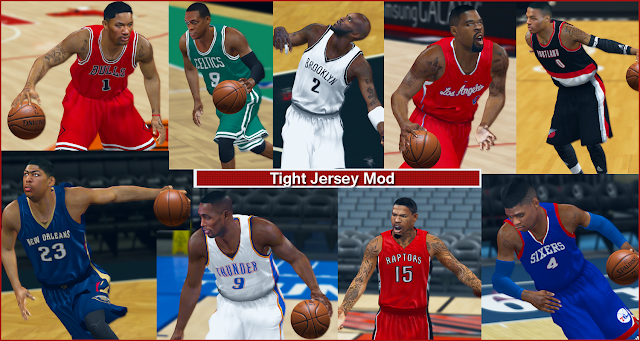 This pack includes almost 100 modded uniforms for 30 current NBA teams. 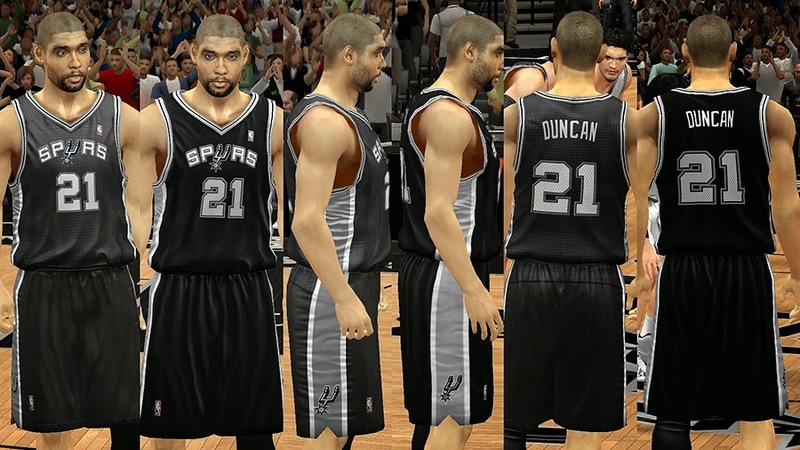 This NBA 2K14 jersey pack updates the home, away, alternate, warm-ups, and the new Military Night camouflage uniforms of the San Antonio Spurs. 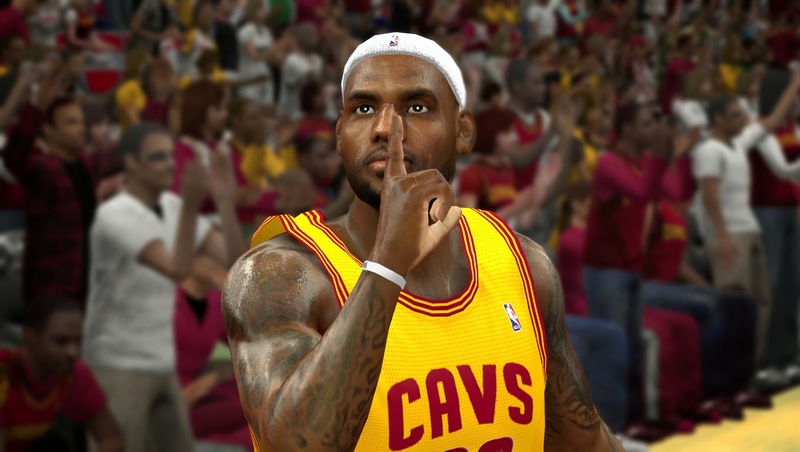 Congrats to the Spurs for winning the NBA Championship! 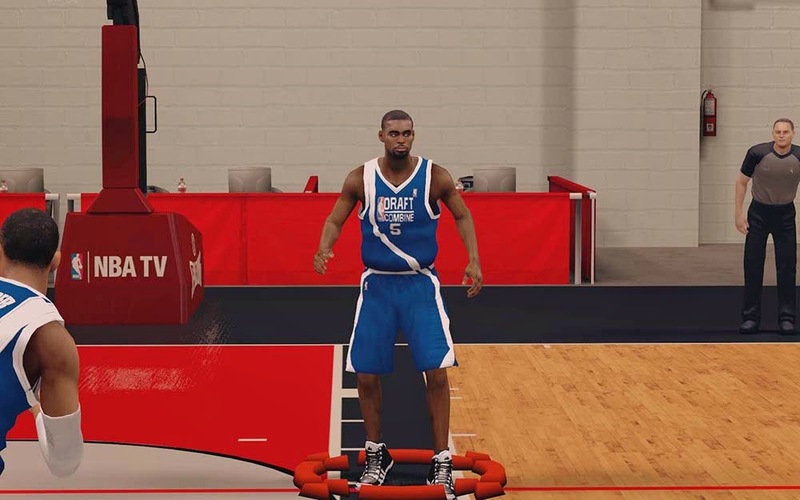 This NBA 2K14 mod aims to improve the movement physics of the jersey. It also makes the uniforms a little bit tighter. I'm still trying to figure out how to make the arm holes smaller. 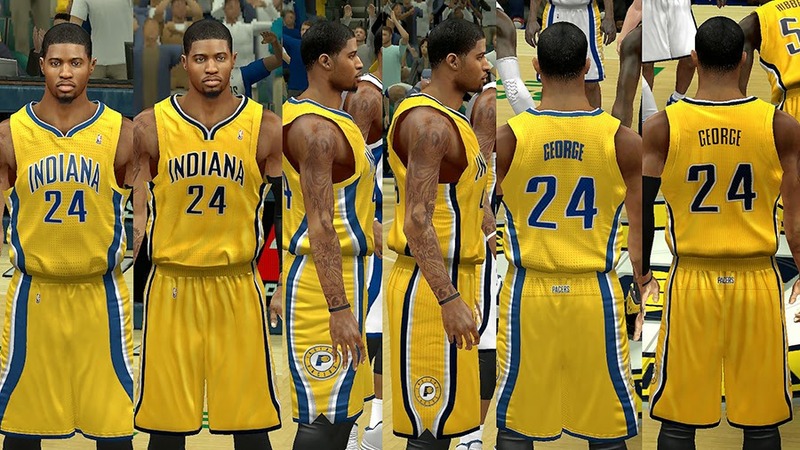 This NBA 2K14 jersey pack updates the home, away, alternate, and warm-up uniforms of the Indiana Pacers. 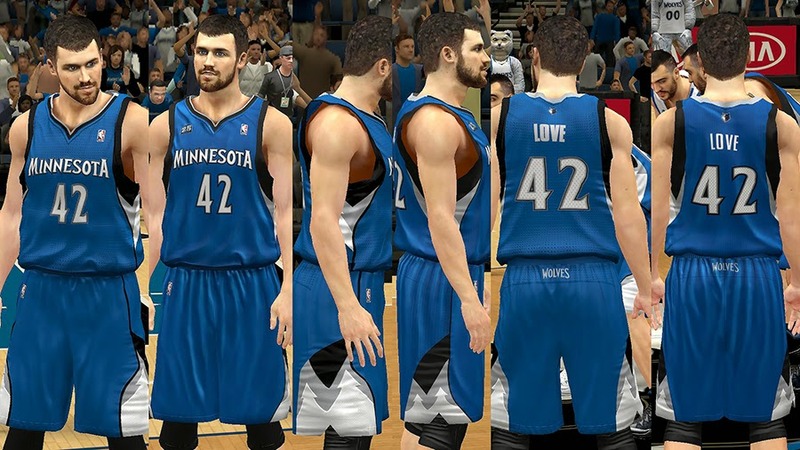 This NBA 2K14 jersey pack updates the home, away, alternate and warm-up uniforms of the Minnesota Timberwolves. 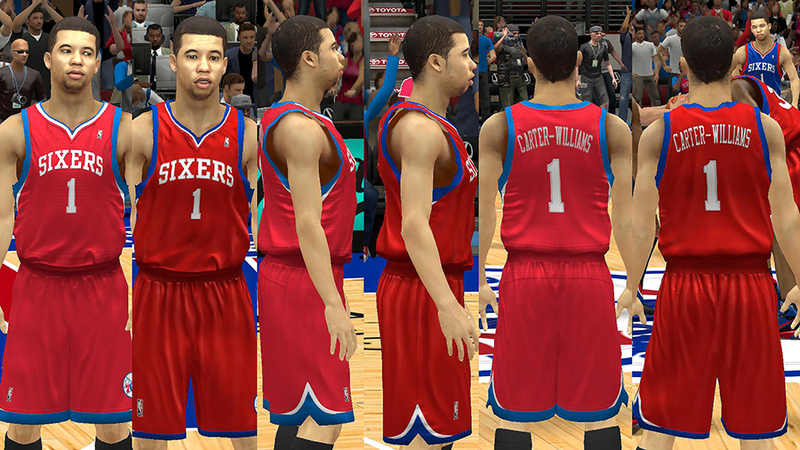 New NBA 2K14 jerseys for the rookie showcase game in MyCAREER mode. 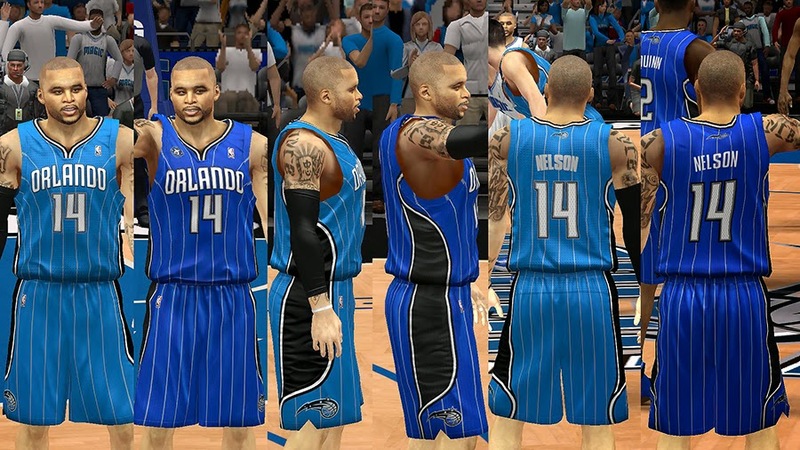 This patch replaces the Stars (black) and Elites (white) jerseys with white and blue NBA Draft Combine jerseys. It also comes with new warm-up uniforms for both teams. 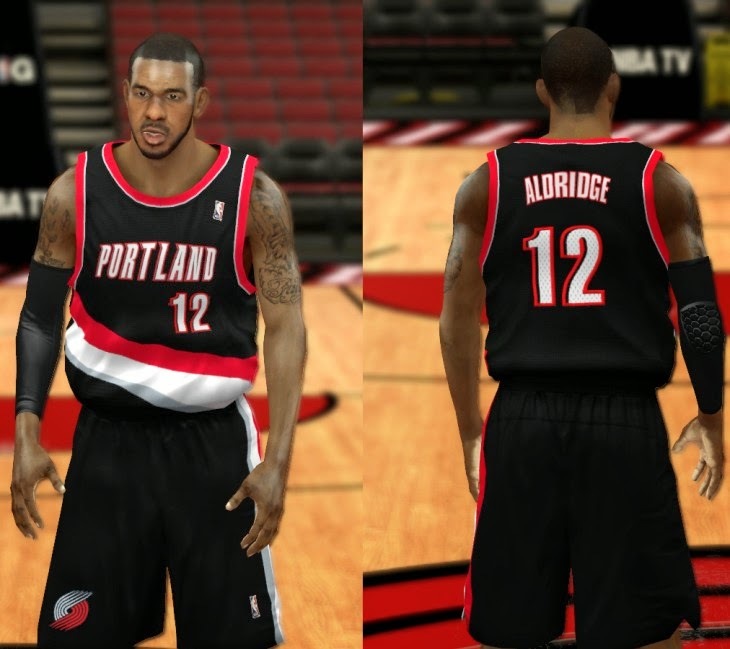 Complete set of modified NBA 2K14 jerseys for the Portland Trail Blazers. 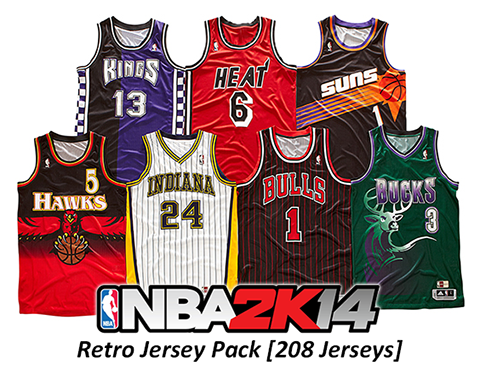 The patch includes retro and current jerseys. Continue on for the complete list.